It's no secret, we are huge fans of theme parties. So when we were asked to make cupcakes for an 80's themed birthday, we started pumping up the jam! A fan of our delicious red velvet cupcakes, the birthday girl wanted a vanilla version of the same consistency. Et voila: Our totally rad 80's cupcakes! Check out our flickr page for more of the photo shoot! 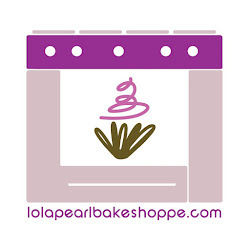 March Madness hits Lola Pearl! !